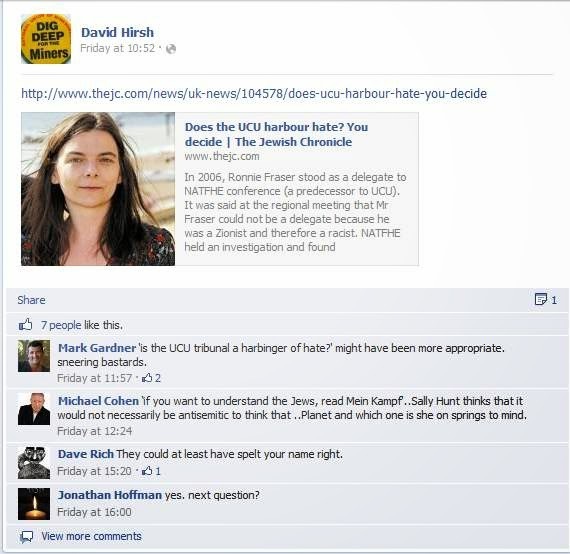 My attention has been drawn by Gert and Brian Robinson to the use by Mark Gardner of the Zionist ‘charity’ the Communist Security Trust of certain comments I made regarding Oren ben-Dor, the Southampton University lecturer who has helped organise the Israel and International Law Conference. The comments which I made, some 7 years ago, were in the context of ben-Dor’s support for Gilad Atzmon. Gardner quotes selectively from a much longer post to support the decision of Southampton University to ban a conference on Israel and International Law from being held on campus. The reason it has been banned is because of health and safety concerns, i.e. Zionist threats of violence. 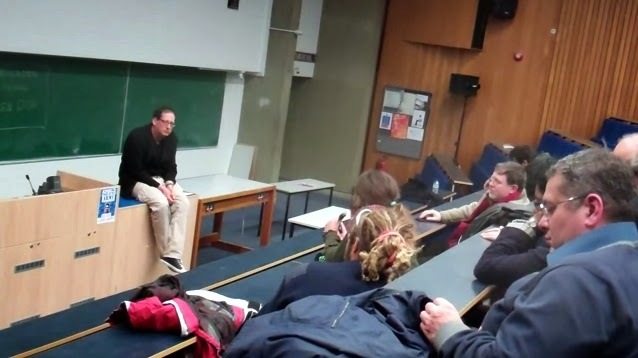 I want to make it clear that there is no connection between the Conference at Southampton University and my previous criticism of Oren ben-Dor. 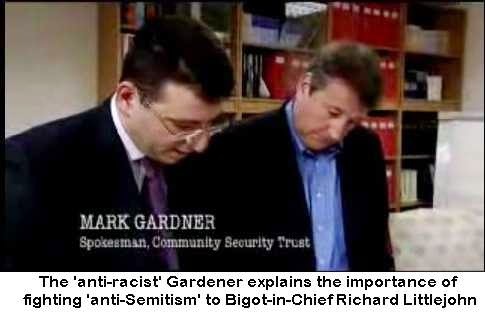 Mark Gardner is being his usual hypocritical and dishonest self in seeking to associate the two. There is no connection and Oren ben-Dor is, in any event, one of four organisers of the Conference. More pertinent has been the failure of the CST to oppose the EDL's presence on Zionist demonstrations. Ironically the criticism by Gardner of what Oren ben-Dor writes, on the CST’s web site (the CST is supposed to be a non-political charity), echoes that which the Zionists argue. Gardner says that ‘They [Atzmon and ben-Dor] both hold up Jewish anti-Zionists as some kind of ultimate supposed proof that Zionism can only be fundamentally understood (and more importantly opposed) as an extension of Jewishness.’ But of course Zionists too argue that Zionism and being Jewish are one and the same, and that Jewish anti-Zionists are ‘self-haters’ i.e. hate their race and nation. Gardner confirms this when he says that ‘Most left wing anti-israel activists anxiously manufacture distance between Zionists and Jews (i.e. between anti-Zionism and antisemitism).’ In other words that there is no distance or distinction between Zionists and Jews and left-wing anti-Israel activists therefore have to manufacture such distance. Which is exactly what Atzmon argues! Gardner says that ben-Dor ‘goes further, suggesting that Nazi perpetrators were somehow captives of a deeper historical force that may repeat in the future.’ But this was always the Zionist attitude to the holocaust. It was but the culmination of 2,000 years of anti-Semitism. 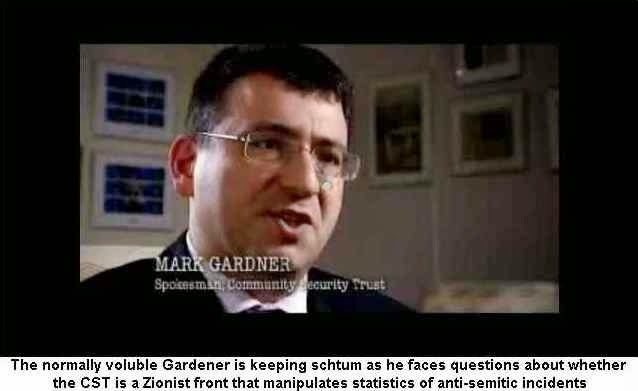 Despite quoting me in support of the banning of the Southampton Law Conference (which of course I oppose) Gardner proves how little distance there is between Zionist ideologues such as himself and the anti-Semitic Gilad Atzmon.